Andy Chong possesses over 20 years of experience in the field of accounting and finance, IPO and M&A, co-working space and investments. 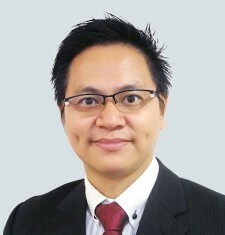 Mr. Chong is a founder of Flexkin & Co., a certified public accountant practicing firm in Hong Kong, as well as Startup Business Centre and Flexkin Corporate Services Limited. Currently, Startup Business Centre provides office solutions, business advisory, angel investment and incubation services to Startups, especially on technological sector. He is also a family office advisor on setting up offshore family trust, foundation and estate planning. Prior to starting his own business, Andy started his career at one of the Big 4 international accounting firm and has worked for accounting and finance functions of various listed companies. Mr. Chong obtained his Bachelor’s Degree of Arts in Accountancy from The Hong Kong Polytechnic University. member, the Society of Chinese Accountants & Auditors.